Includes two grain reaper Mac Don D60 and Case 2142. Harvested wheat, barley and canola. 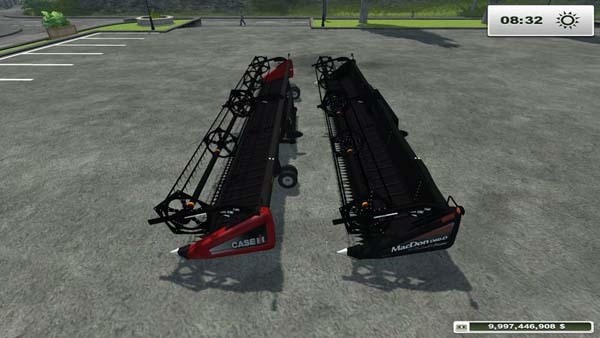 is the case header front the one which has the trailer built into it, then you just fold it.